Biotechniques.com - Is This Tumor Malignant or Benign? Is this tumor malignant or benign? A simple blood test is 98% effective in determining if tumors are malignant or benign in lung cancer patients. Scientists from the Medical University of South Carolina (SC, USA) have conducted a large clinical trial to test the accuracy of a new blood test that compares the concentrations of two proteins to determine the malignancy of tumors found in lung cancer patients. The results, published in Chest, revealed the test to be highly accurate — at 98% effectiveness. This research could allow doctors to make better informed decisions about patient care and treatment. As with all cancers, early and accurate diagnosis increases survival rates. Most lung nodules and tumors are found accidentally whilst having unrelated health check-ups. 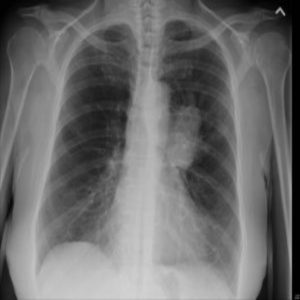 Diagnosis of lung cancer from these can involve invasive and expensive tests. It is not easy to tell if a tumor is benign or malignant using visual methods so often a biopsy, requiring surgery, is needed. However, the researchers tested the idea of creating a biomarker by using a simple blood test that measures protein concentration and combining that with the patient’s cancer risk. The test itself measures the concentration of two proteins in the blood plasma, LG3BP and C163A. These are common predictors of lung cancer, with elevated levels of the proteins potentially indicating malignancy. This information is then combined with other cancer predictors such as age, nodule characteristics and lifestyle to give a highly accurate and informed result. The results have been positive, with the study predicting that if the test had been used to inform patient care, then the number of unnecessary procedures could have been reduced by 40%. The research is part of the larger Pulmonary Nodule Plasma Proteomic Classifier study (PANOPTIC) and Silvestri is confident this work will go on to improve diagnosis and treatment going forward.